This 200-page book is currently being updated and will be ready for purchase in the spring of 2019. 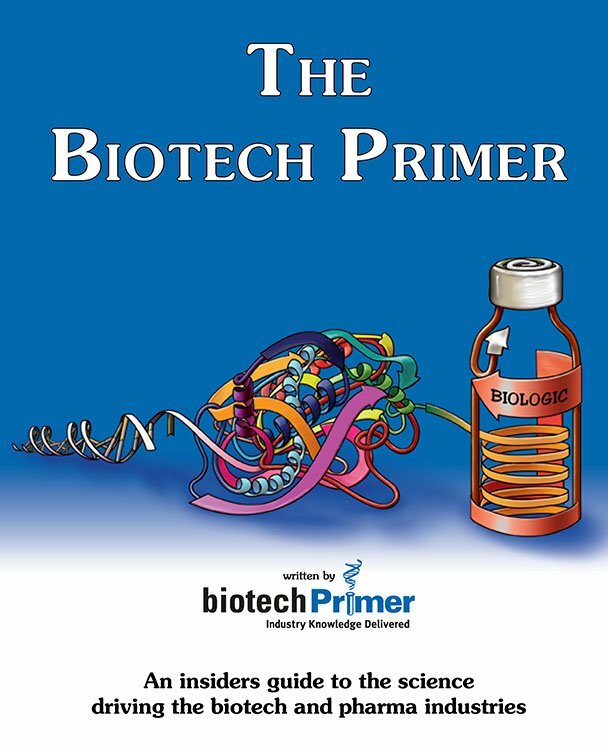 The book features illustrations and a glossary of biotechnology terms. The text takes an in-depth look at the biotech industry, and in particular, the science that drives it. From cell structure to protein structure; gene expression to genetic variation and genetic engineering; the human immune response to the production of antibodies for biotech application; and finally drug discovery, drug development, and biomanufacturing – we discuss the key concepts and technologies that impact current biotechnology developments. This book will support your growth in biotechnology. Although the industry itself is constantly changing, these fundamental concepts upon which it is built will remain important for years to come and decision-makers who understand these fundamentals will be better able to evaluate and predict new trends. More than anything else, we hope that your understanding of the science behind biotechnology will serve to increase your enthusiasm for this exciting and truly life-changing industry. The future is here – be a part of it! But What Do Cells DO?